Mr. President - elevate this guy to the U.S. 9th Circuit Court of Appeals. With last week’s court decision to repeal California’s magazine ban, gun rights activists rejoiced. The decision decisively smacked down the state’s magazine limit on pretty much every level imaginable, leaving little room for the Ninth Circuit to overturn the decision. It was a thing of beauty for our side, to be sure. However, it seems the gun control zealots are a bit miffed about it. 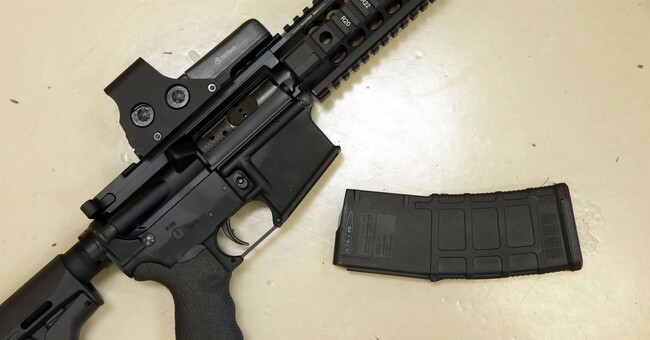 Gun control advocates expected U.S. District Court Judge Roger T. Benitez’ ruling striking downa California initiative restricting the size of firearm magazines. But they didn’t anticipate the way he did it. In a fiery 86-page decision released last week, Benitez — appointed to the bench by George W. Bush in 2003 — cited a number of burglary-homicides where he said the amount of ammunition available made the difference between life and death. Supporters of California’s law, which voters approved in 2016 as Proposition 63, were startled by the tone of Benitez’s ruling. “This opinion is not normal,” said Ari Freilich, California legislative affairs director for the Giffords Law Center to Prevent Gun Violence, which filed a brief in support of the magazine ban. In his ruling, Benitez dissected some of the state of California’s evidence, including a Mother Jones magazine report on the epidemic of mass shootings in the United States. He critiqued the magazine’s descriptions of California shootings and questioned whether restrictions on magazine capacity would have stopped a shooter. “Mass shootings are tragic. But they are rare events,” Benitez wrote. Feilich’s organization was founded by former Rep. Gabby Giffords, who was nearly killed in an Arizona mass shooting on Jan. 8, 2011. “We profoundly and deeply disagree” with Benitez, said Freilich. Of course, Freilich doesn’t counter with anything other than feelings and anecdote. Giffords was, of course, seriously wounded in a mass shooting. Others were shot, and some were killed in that same event. It was awful. But, as Judge Benitez notes, it was rare. Mass shootings–as most people think of them, not how the FBI defines mass killings–only account for a tiny fraction of a percent of the total number of shootings every year. Those events are rare enough that if they disappeared completely from the American landscape, our crime rates wouldn’t even notice. I’m not surprised that Giffords doesn’t want that discussed. I’m not surprised they want to disagree without providing any actual substance for doing so. They don’t provide any substance because they can’t. It just doesn’t exist. Magazine bans don’t make anyone safer. They never have. California’s magazine limit didn’t prevent Thousand Oaks from happening, after all. Giffords, however, has no answer for that. For all their talk of not wanting to destroy the Second Amendment, they have yet to offer a single proposal that doesn’t chip away at the Constitution in some regard. It’s their entire reason for being. What they’re truly upset about, what they think is “not normal” in Benitez’s decision, is that the good judge upheld the Constitution of the United States of America.